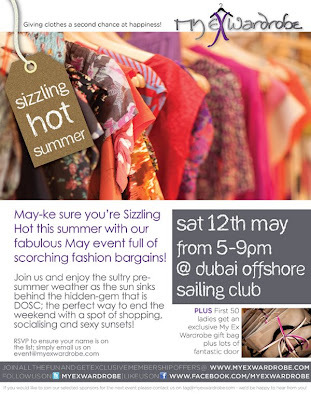 Ladies in Dubai, this afternoon join us at My Ex Wardrobe event from 5pm until 9pm at the Dubai Offshore Sailing Club. 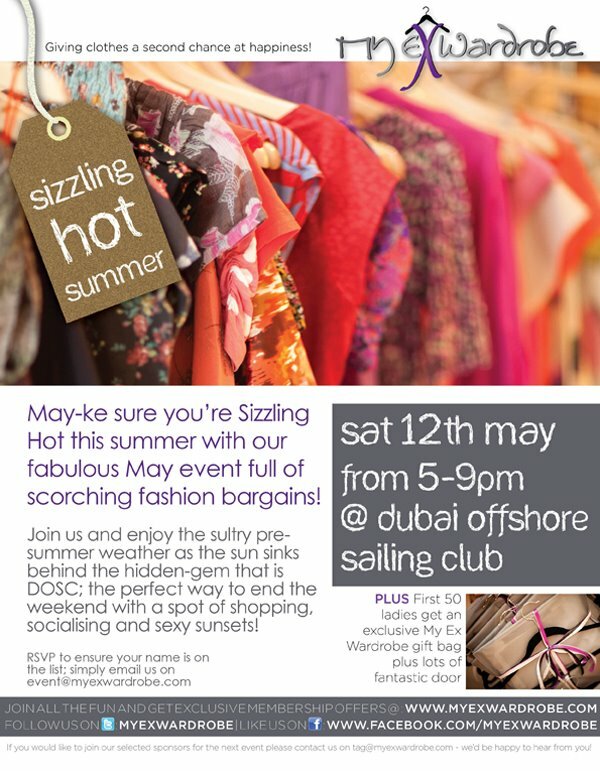 The event was created last year by 3 british sisters based in Dubai: Teagan is a swimming teacher and designs Jewellery, Sian is an interior designer and Bekki runs Lily Bakes. My Ex Wardrobe has a Fashion and a Green aim: give clothes a second chance, and make fashionistas happy. Every seller decides the price of his pieces that are usually sold between 5 and 50% of their original value. In addition to Fashion, the Sisters have invited Spas, Make-Up artists and Jewellers to join. If, like me, you don't really care about trends and love thriftshopping, this is Heaven.